The theme of this image is an underwater seascape. We specifically chose an “over the top” pop-art graphic rendition of the elements to be depicted in order to continue establishing that each and every mural will be done in a different style. 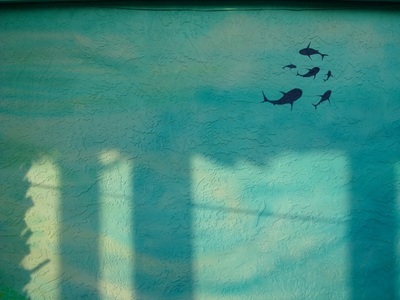 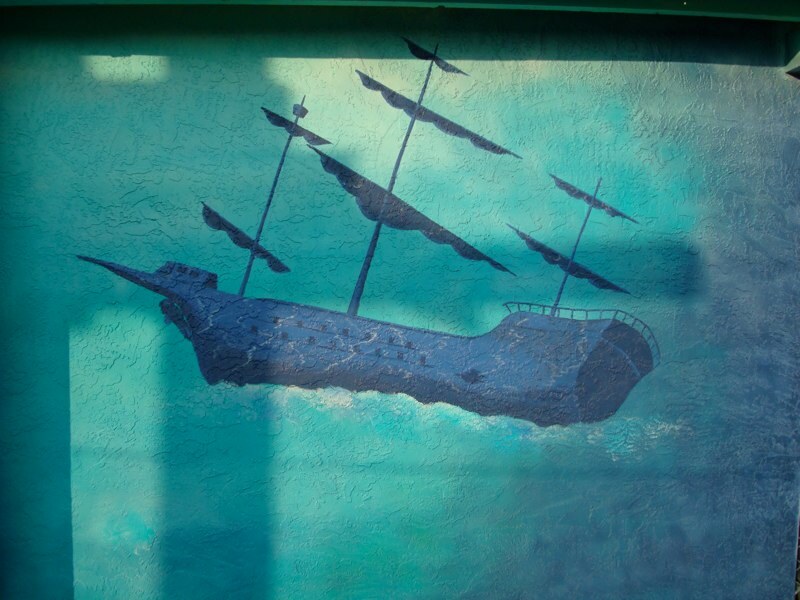 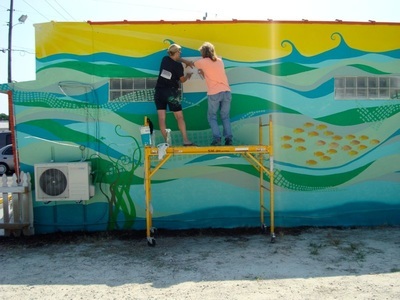 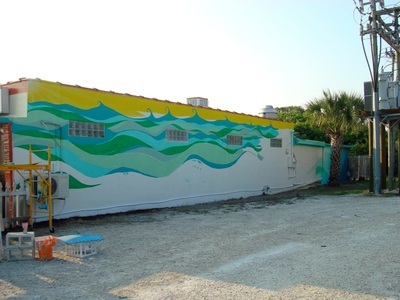 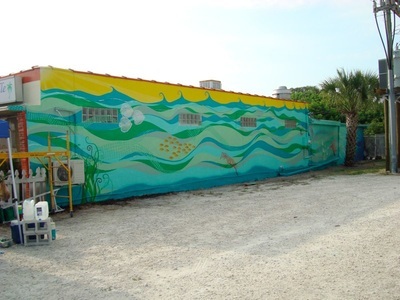 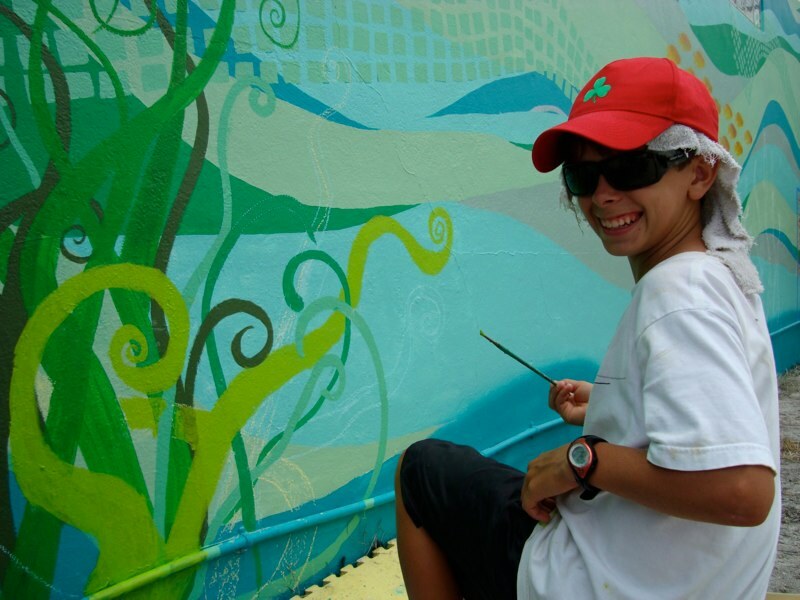 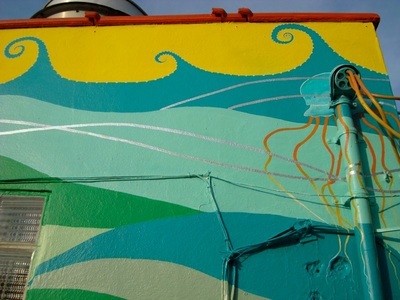 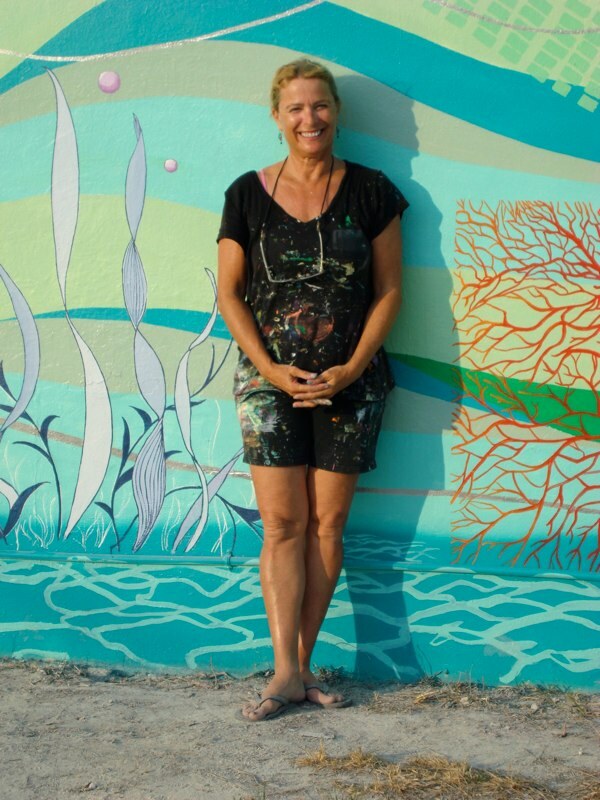 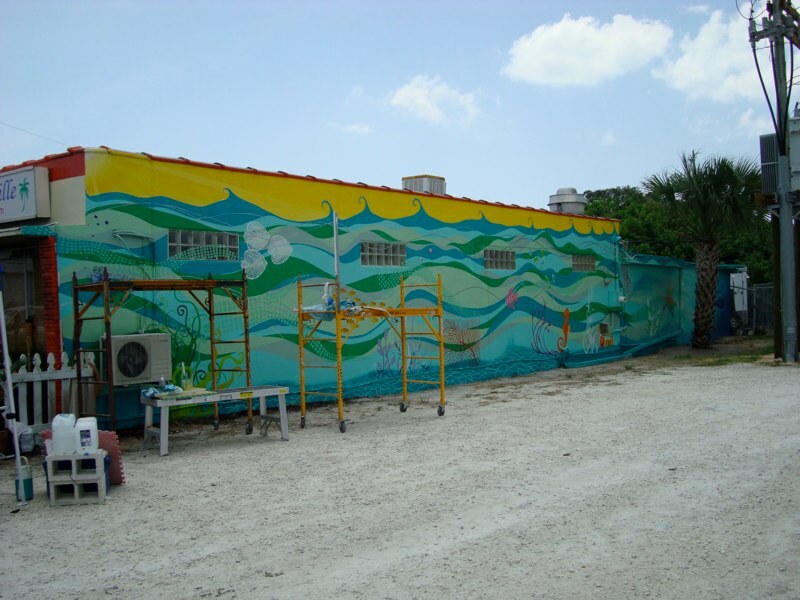 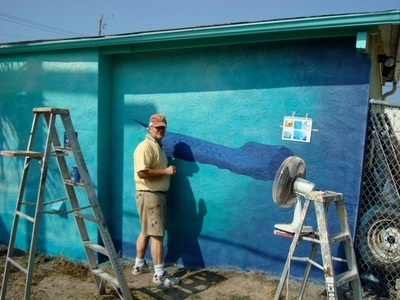 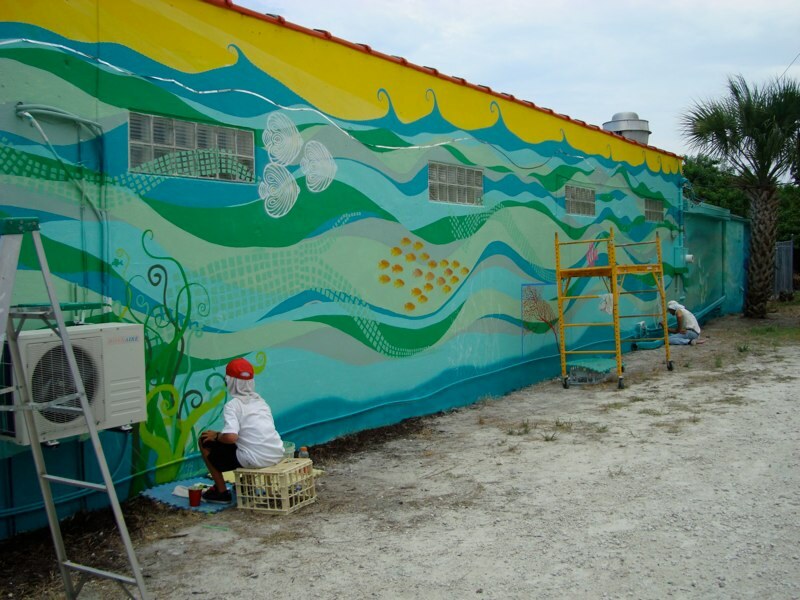 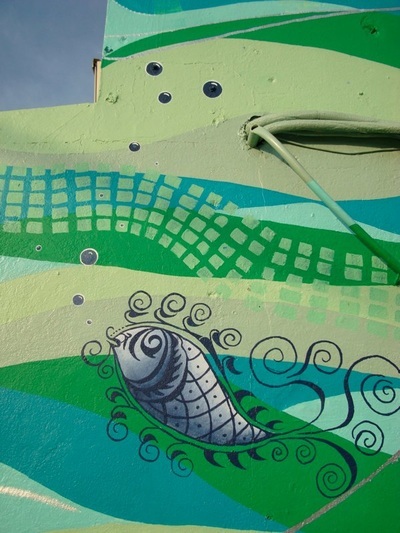 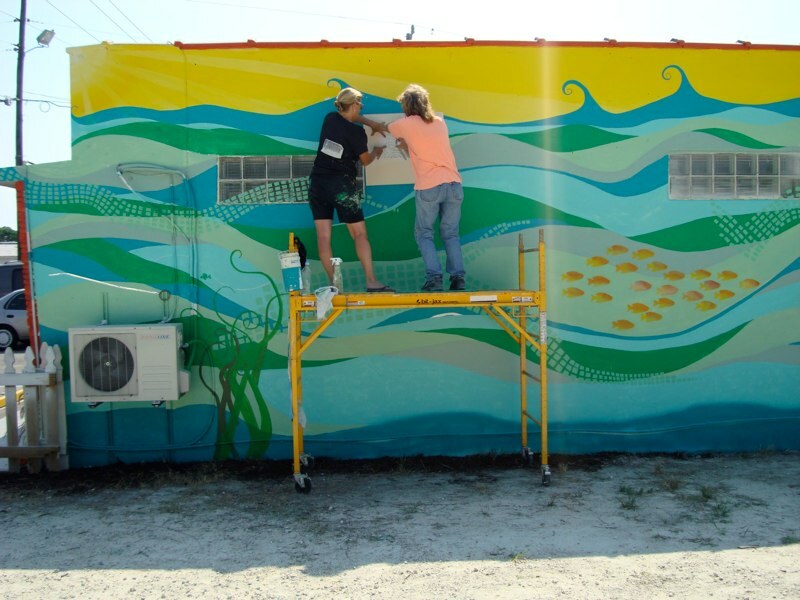 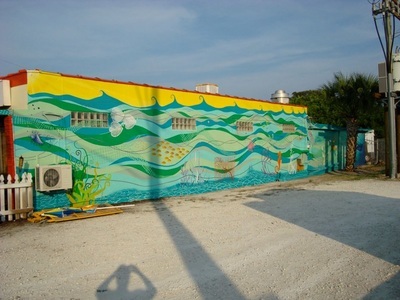 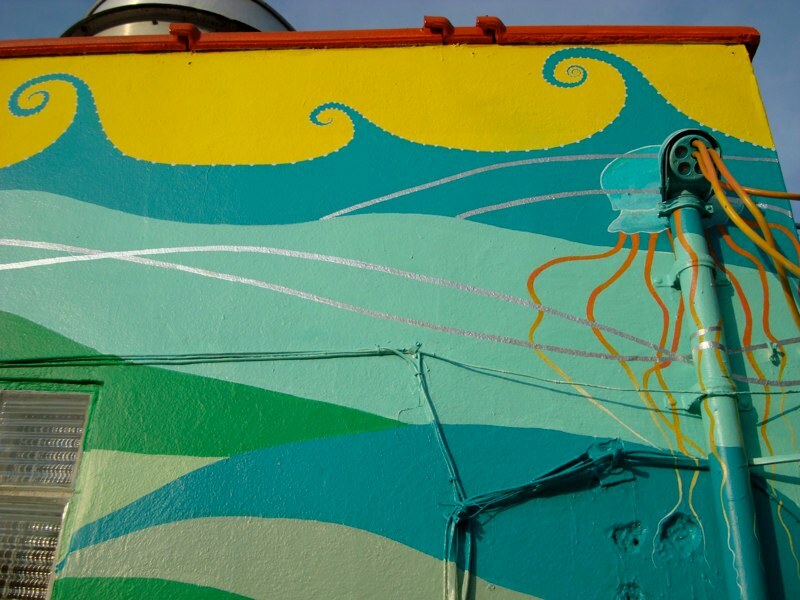 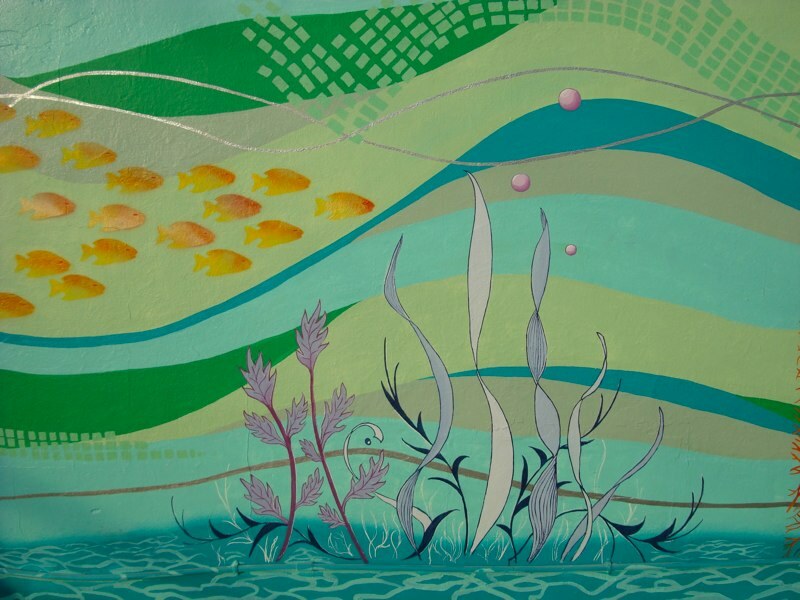 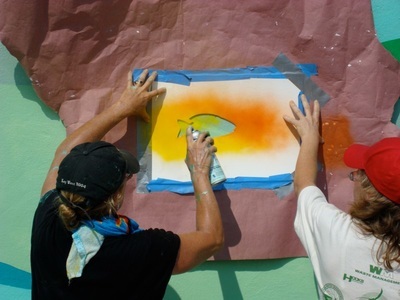 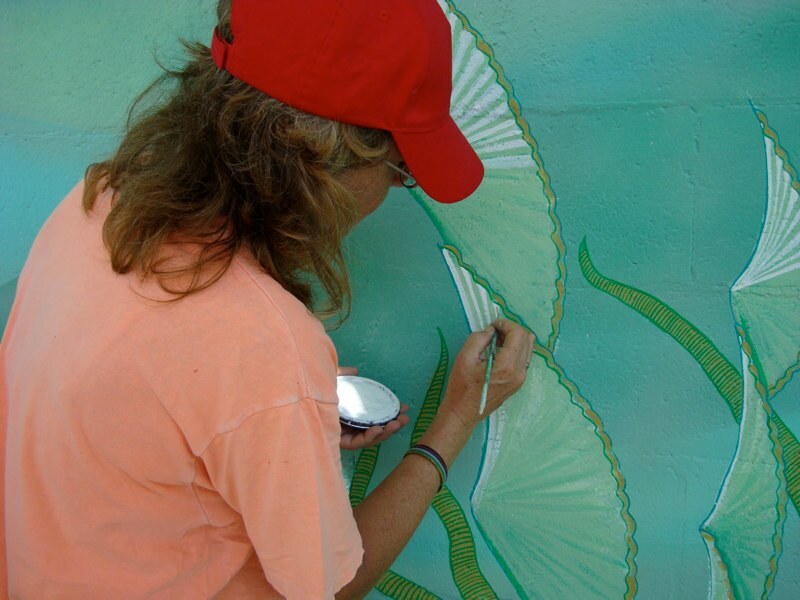 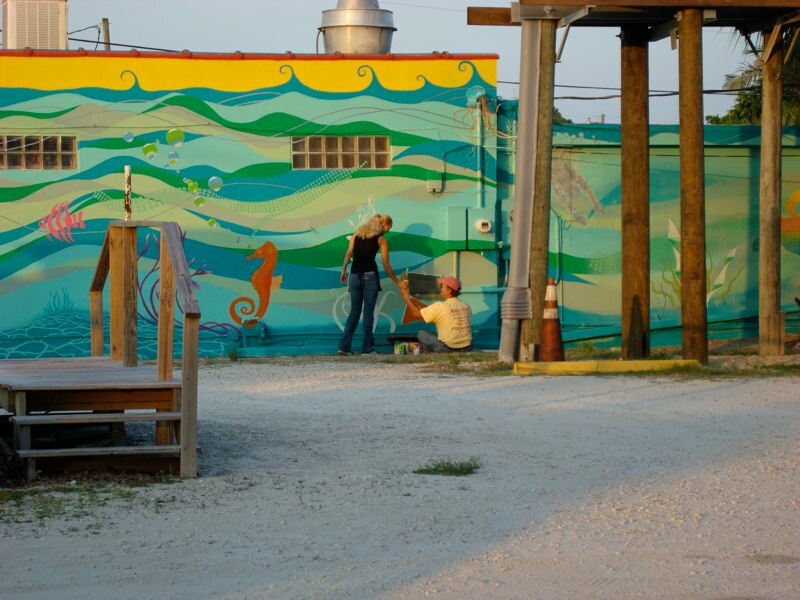 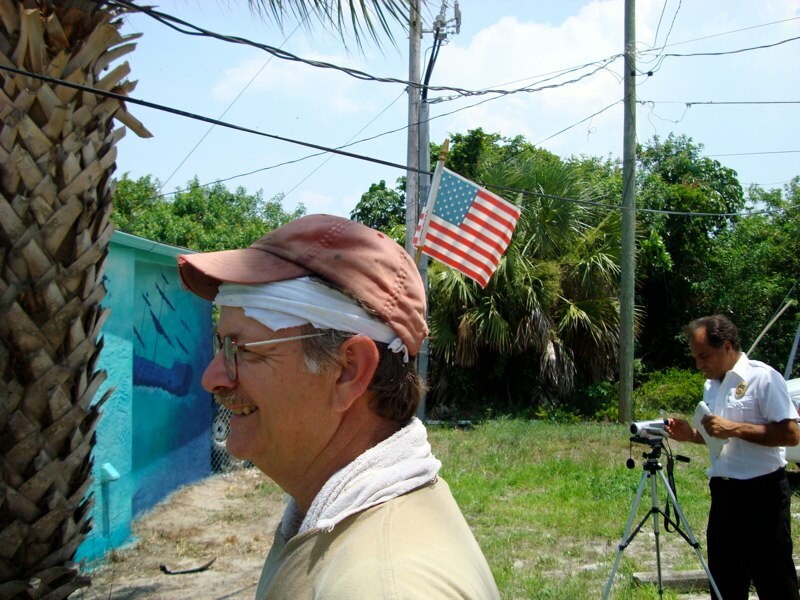 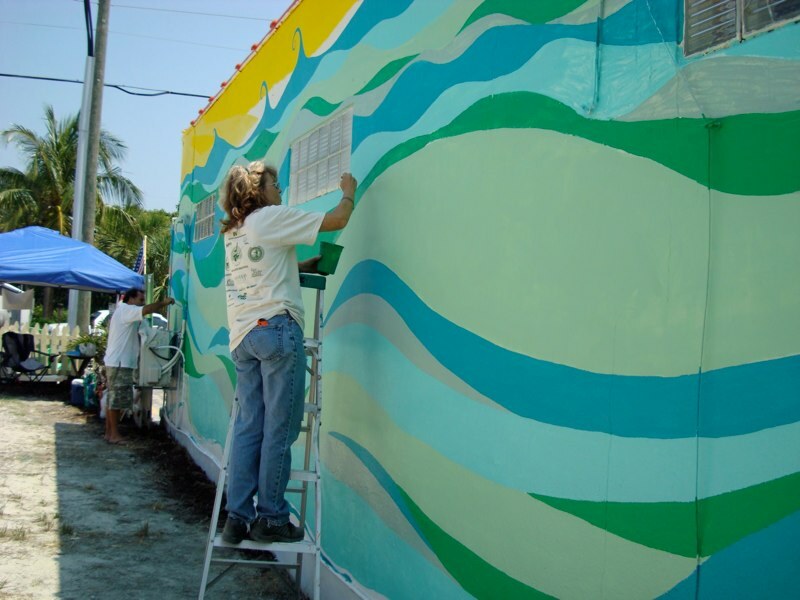 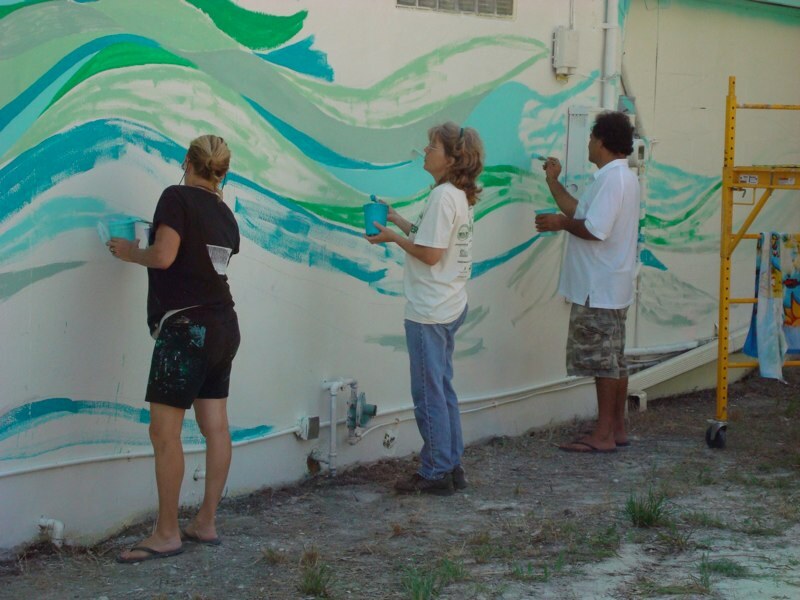 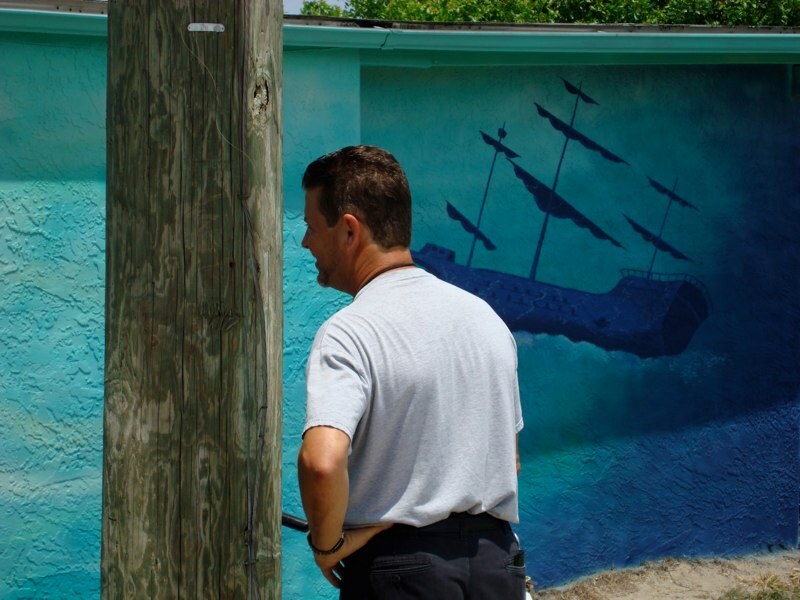 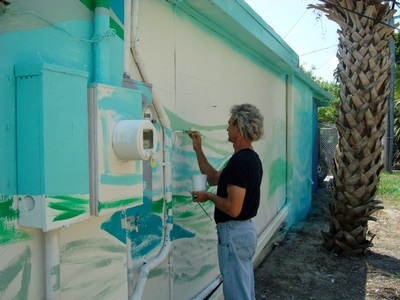 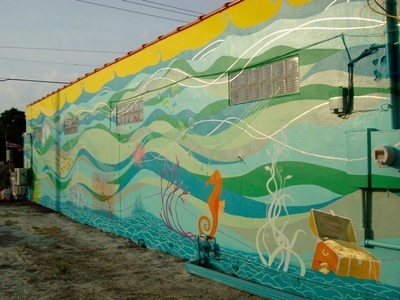 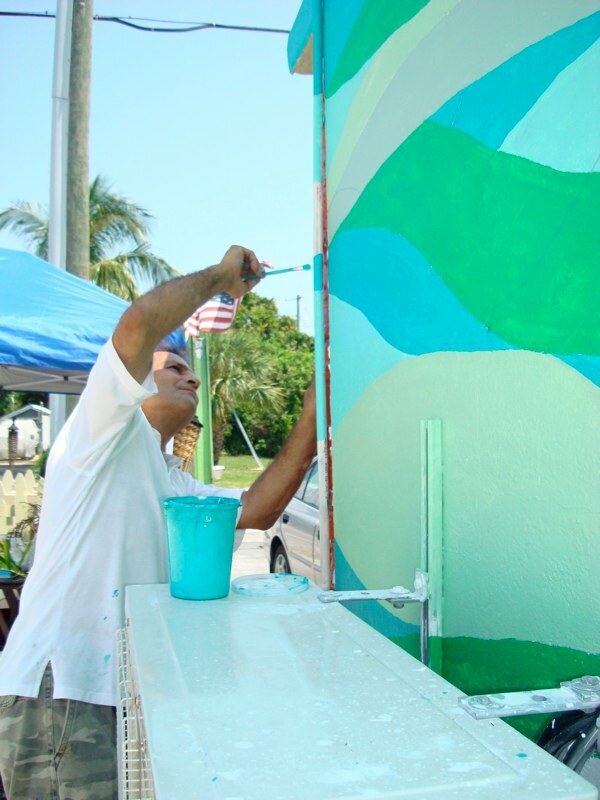 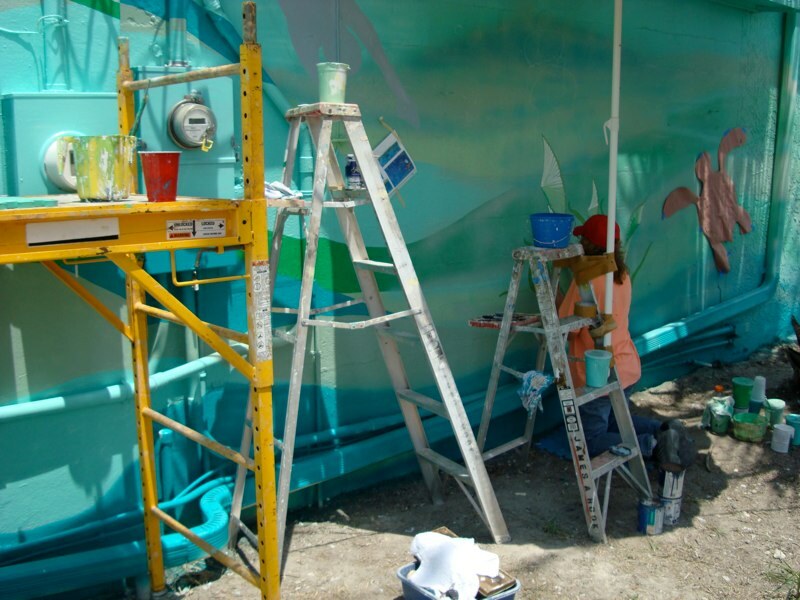 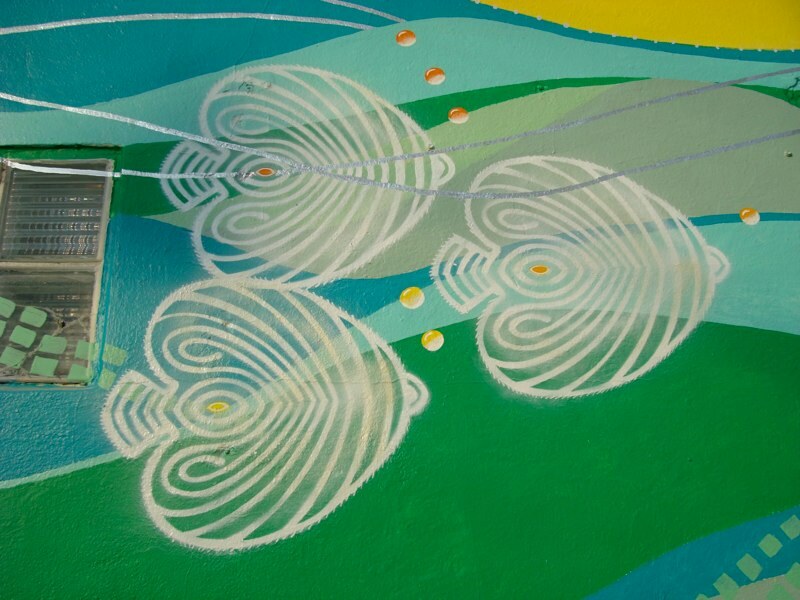 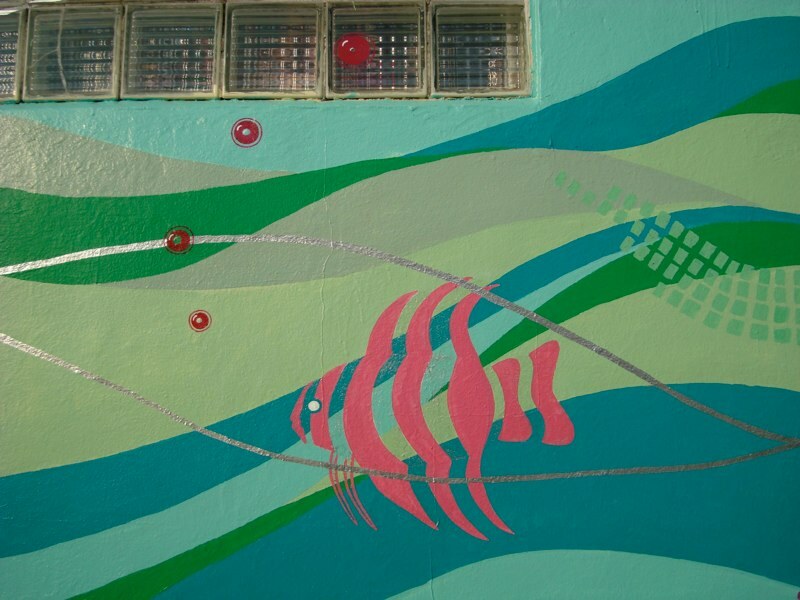 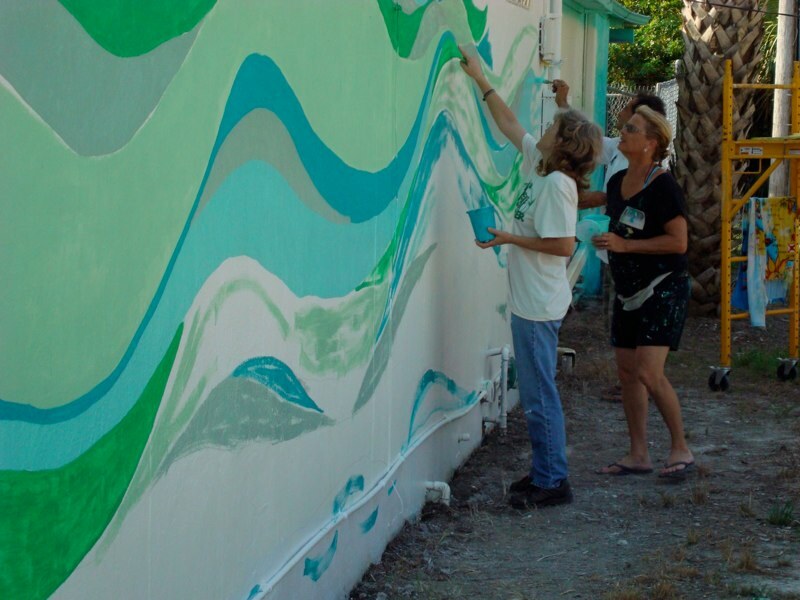 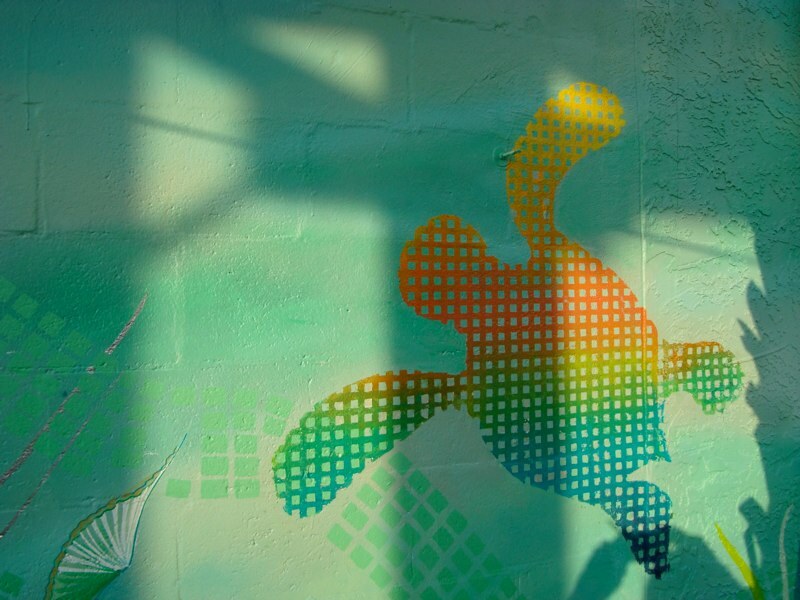 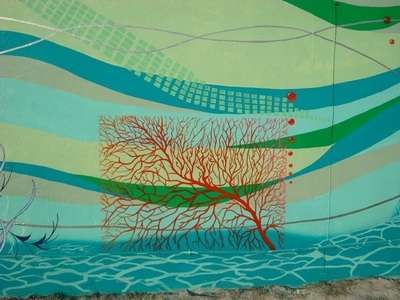 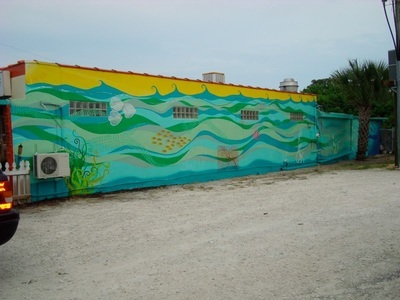 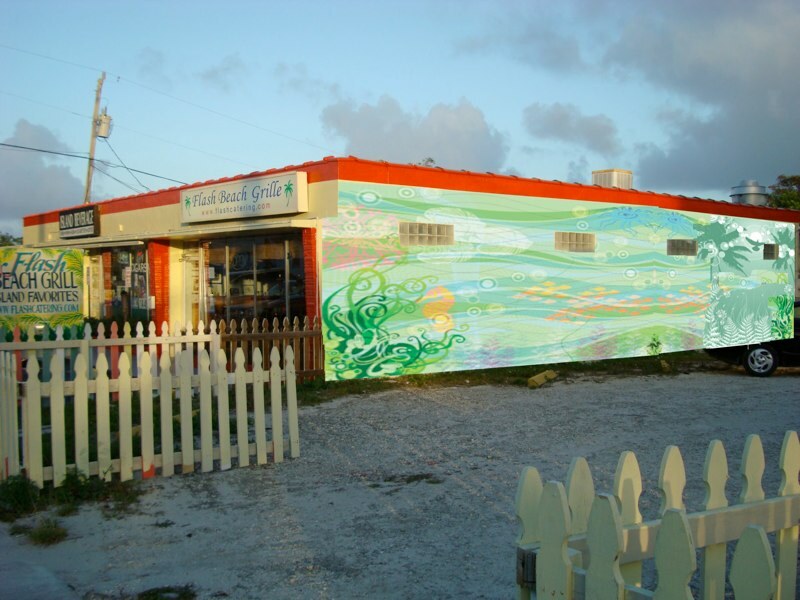 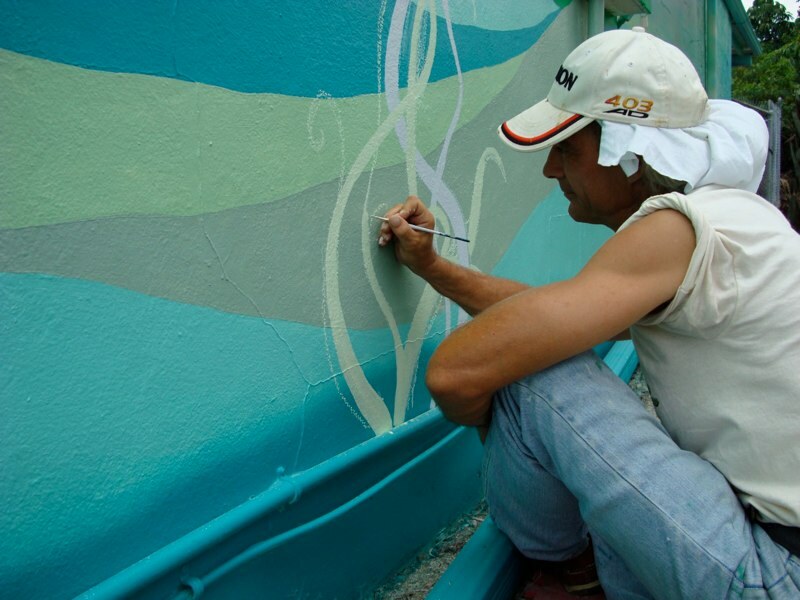 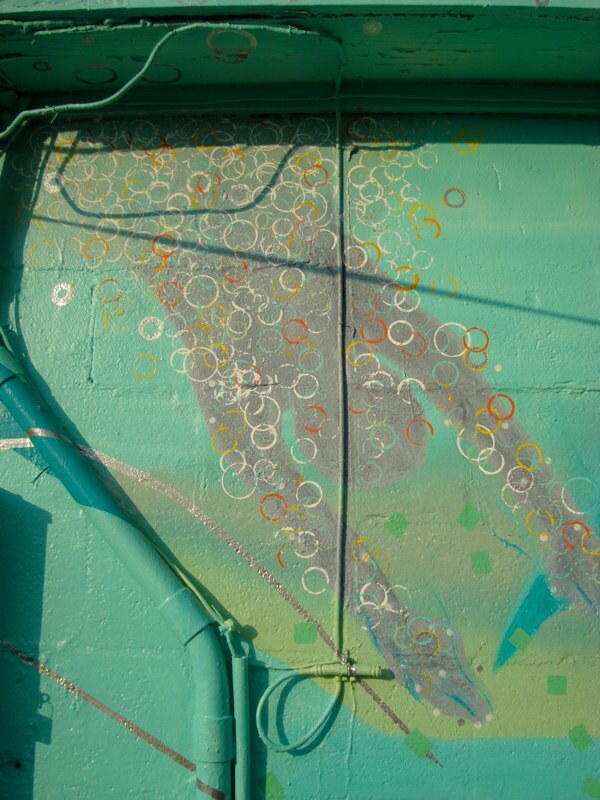 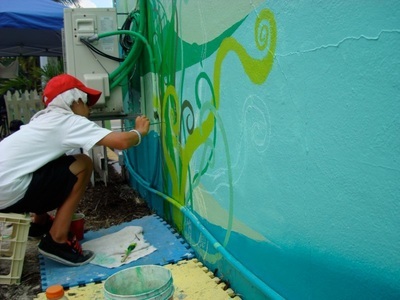 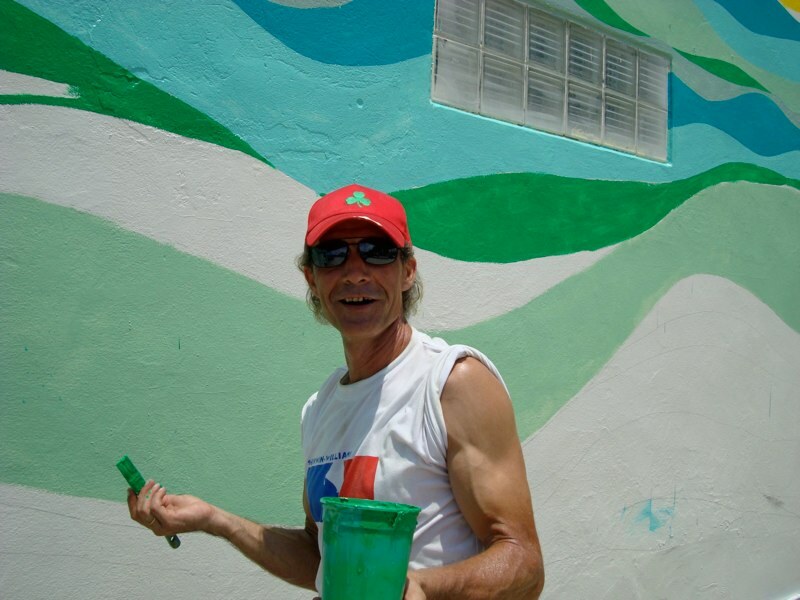 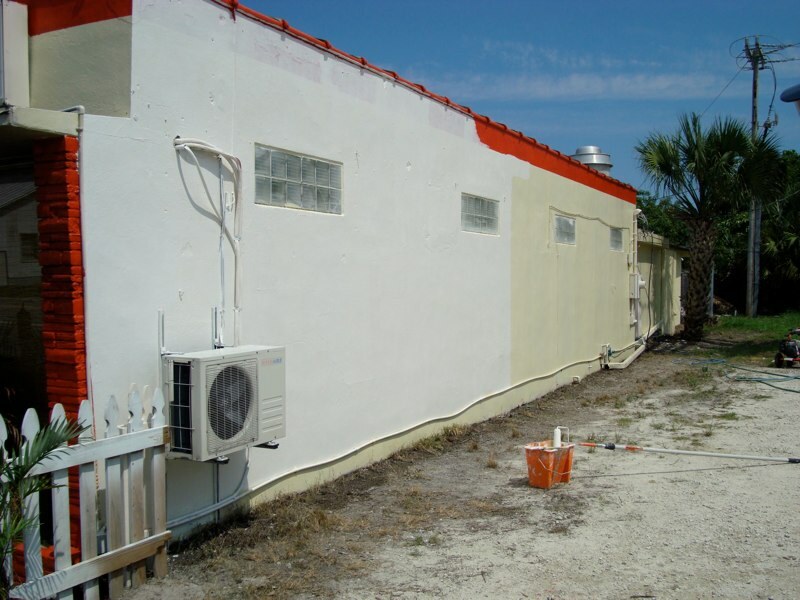 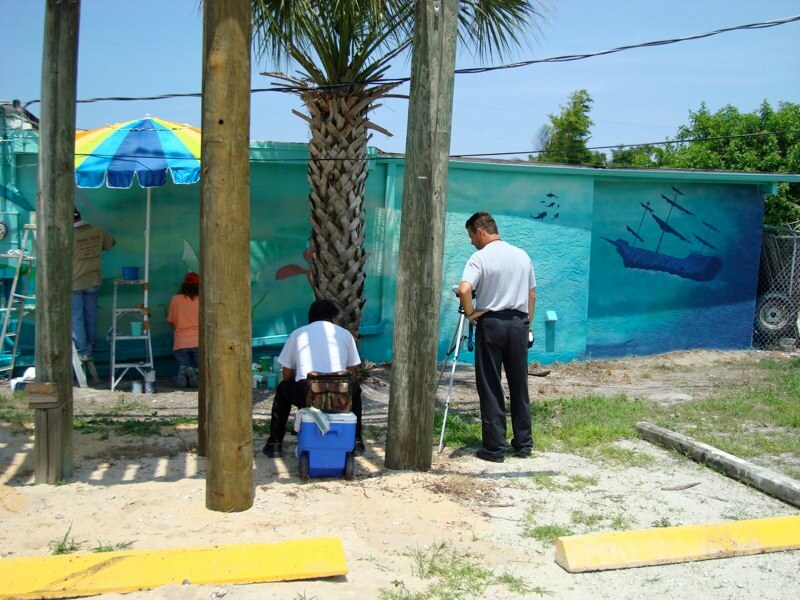 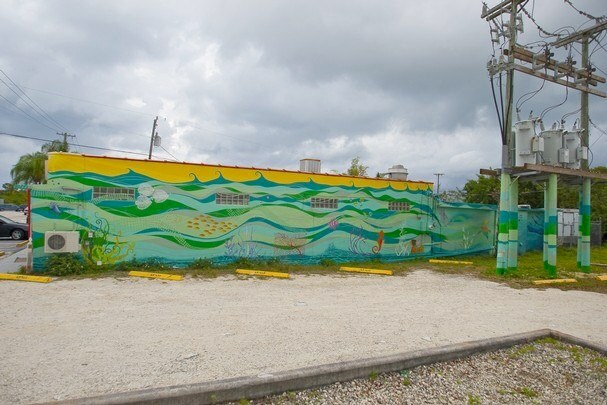 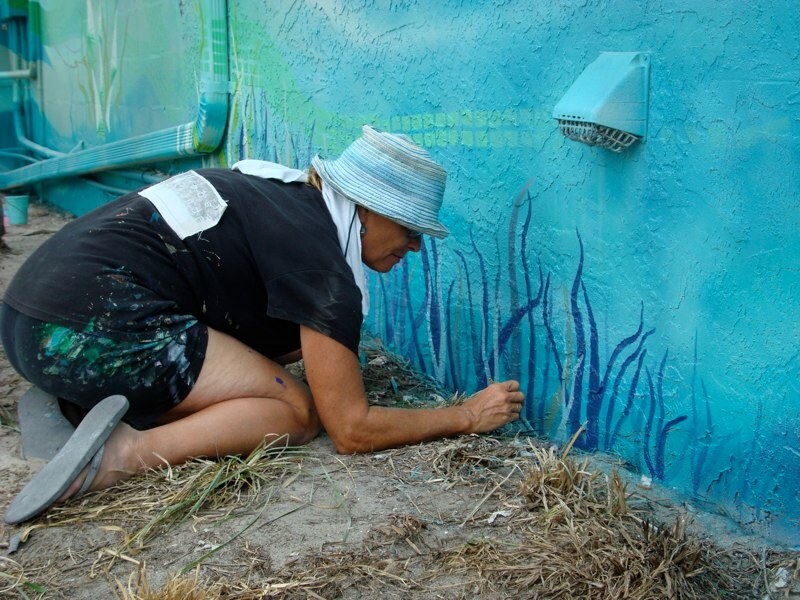 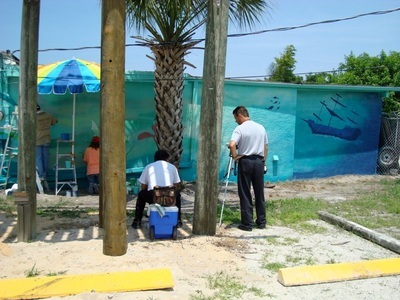 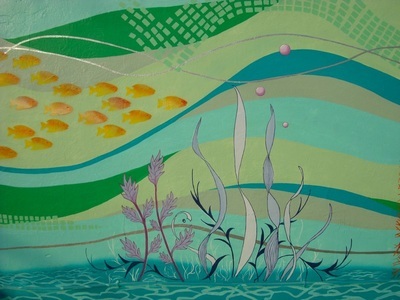 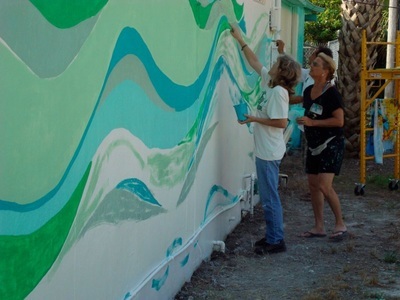 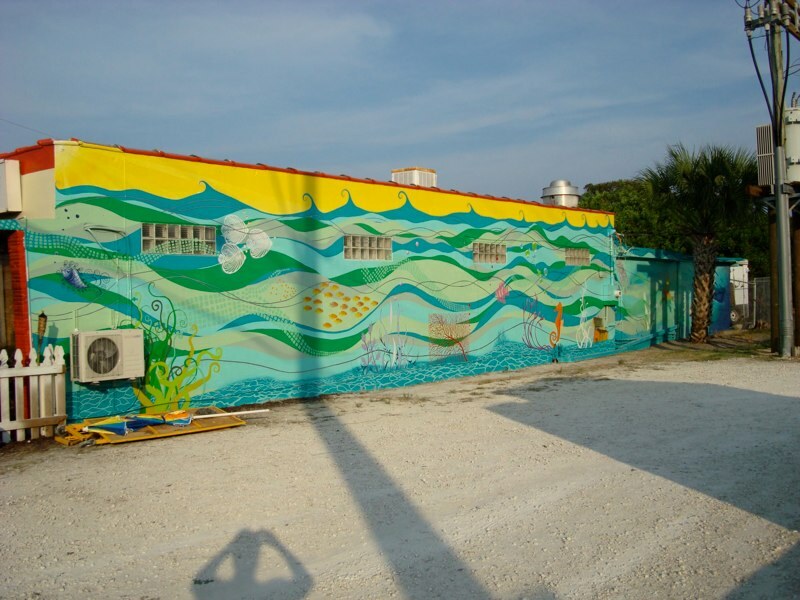 The colors and theme compliment the above water ocean vista of Hobe Sound Mural #1 on the other side of the building. 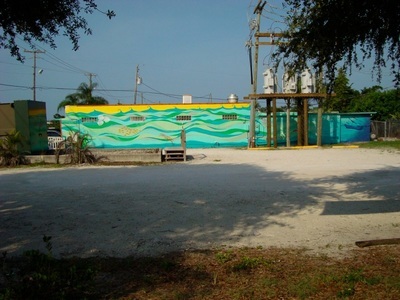 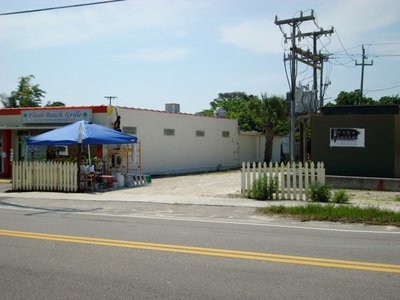 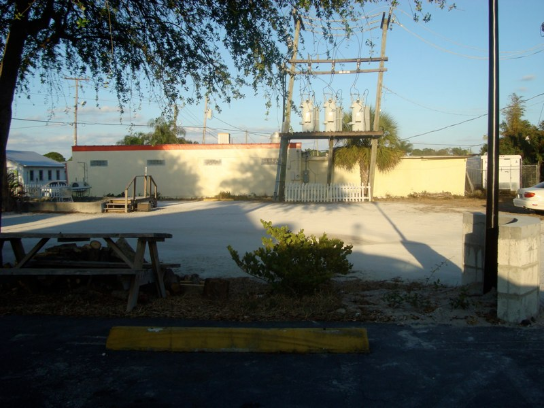 This wall faces the empty lots used for parking between the two restaurants: Flash Beach Grille and Hobies. The wall is 97 feet long x 13 feet high or 1,261 square feet. The location has a rather abandoned look considering it is on the main strip. 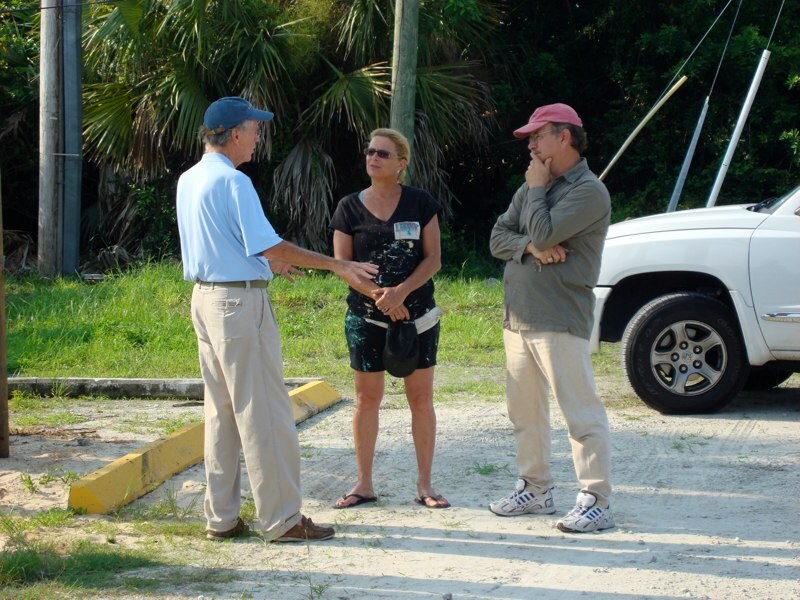 This is further exacerbated by the existence of two very large electrical stations - one formidable box at curb side generating power for Jupiter Island and the other configuration toward the back of the lot on multiple tall telephone poles. 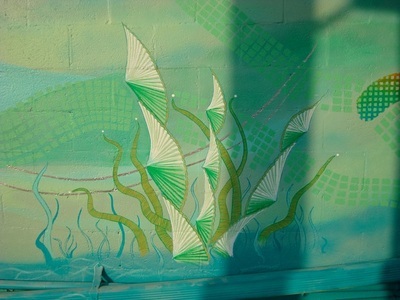 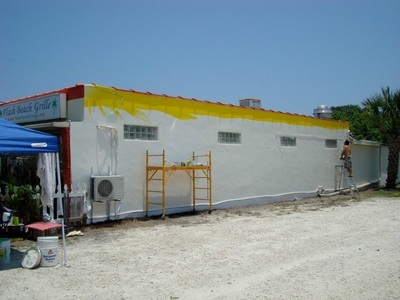 We are planning to incorporate these structures into the general theme of the mural in the near future. 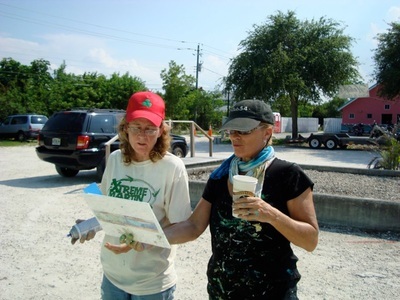 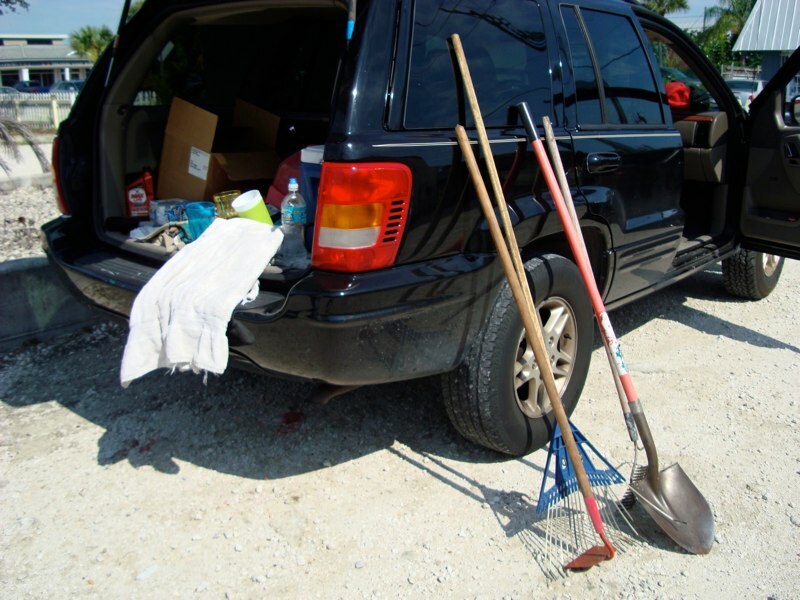 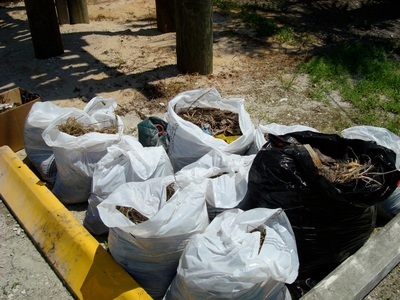 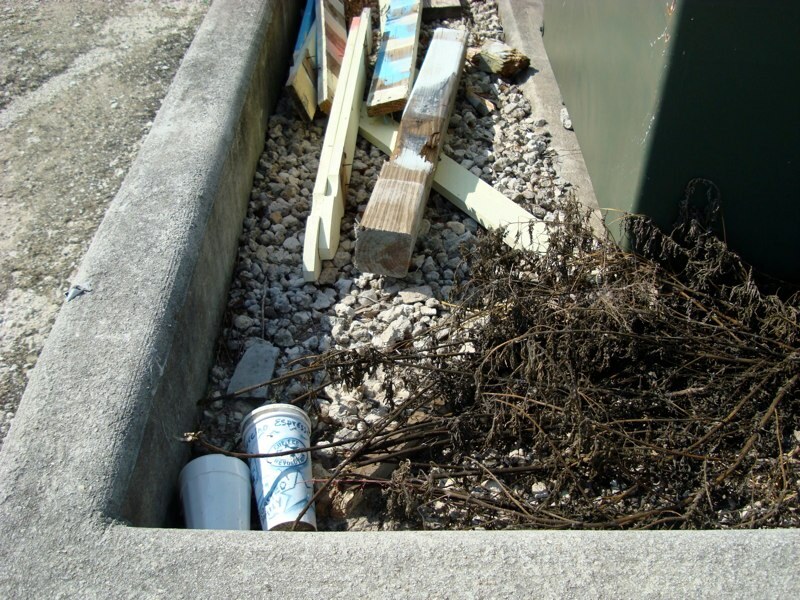 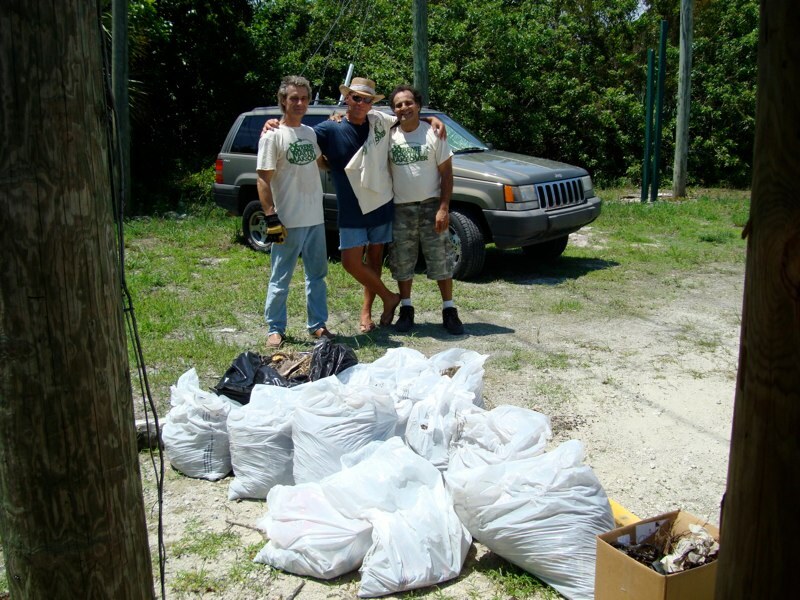 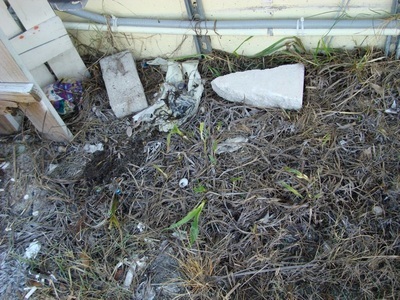 The first important step was a general clean-up of the overall lot in conjunction with another ongoing community- wide event “Keep Martin Beautiful”. 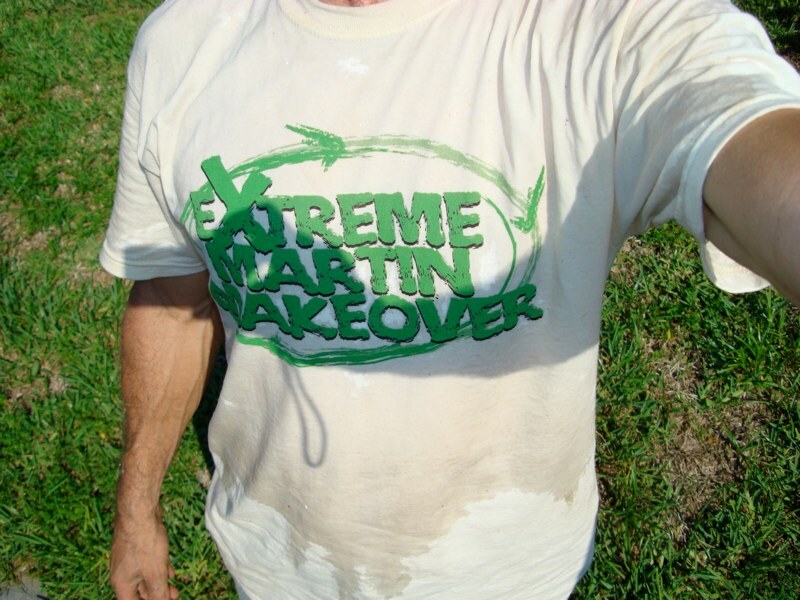 The 12 days straight “on the wall” - from sun up to sun down - were intense with record high heat / a couple brief moments of cloud coverage and only a few drops of rain. Like the preceding murals, there was a continuous and encouraging stream of onlooker and passerby support. Visitors stopped by like clockwork - often joking with us ... “we missed a spot!” or “where is the mermaid?”! 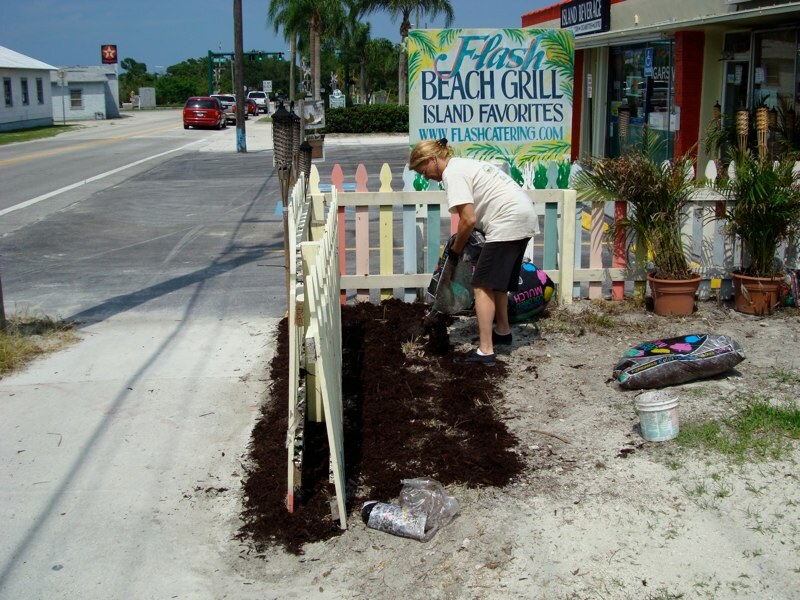 Flash Beach Grille owners - Anita & Robert Breinig were exceptionally hospitable with refreshing drinks and tasty cuisine from their remarkable floribean asian fusion menu. 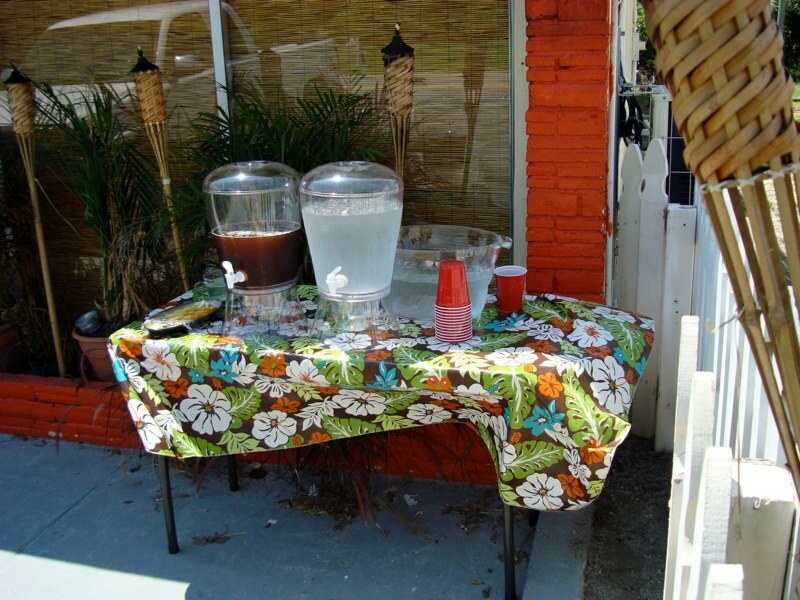 On the last day of the mural, we limped in from the 100 degree weather to a round of applause and champagne with fruit ice and shrimp cocktail on the house! THANK YOU! 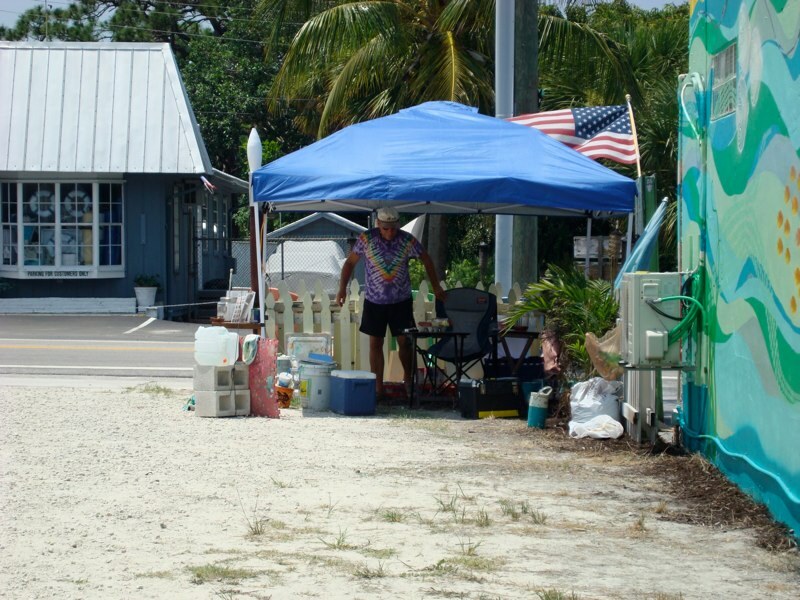 Mike Lookebill - owner of Hobies Restuarant, consistently supplied end of the day libations with personal delivery service across the lot! 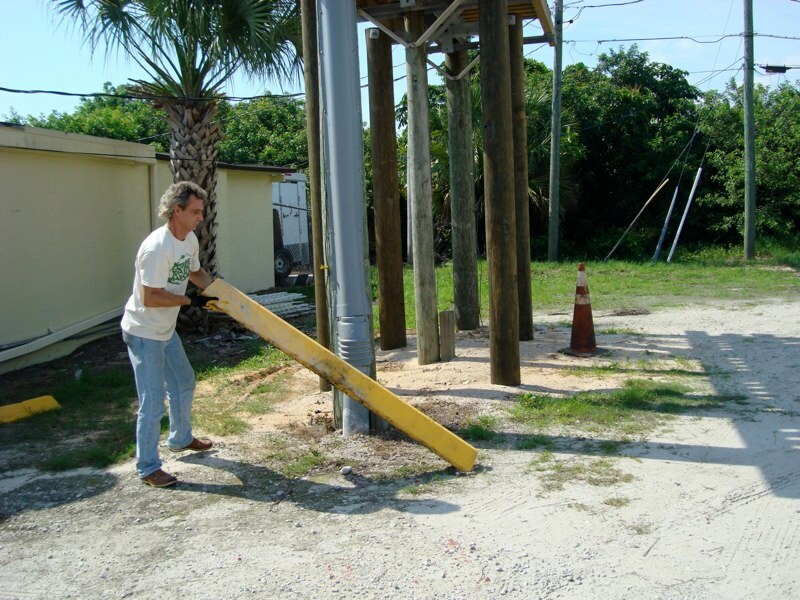 Also a very special Thank You to him for the amazing donation of 5 scaffolding elements, a gift which will continue to give and assist in every future mural. 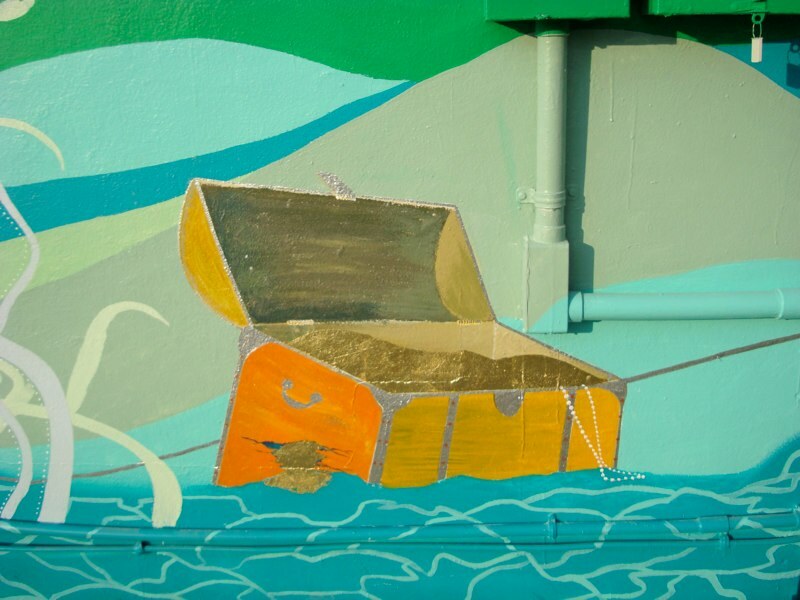 Additional thanks to Cindy for sharing her great mat-knife skills for fish stencil templates & some extra paints and to James Hook for coming most evenings after he had already painted all day & actually applying 23 karat gold leaf on our very special treasure chest! A hearty thank you to Josef Utto and Frank Marrero who from beginning to end, logged in the most hours “on the wall”. It was a treat to have two youthful energies help us out as well. 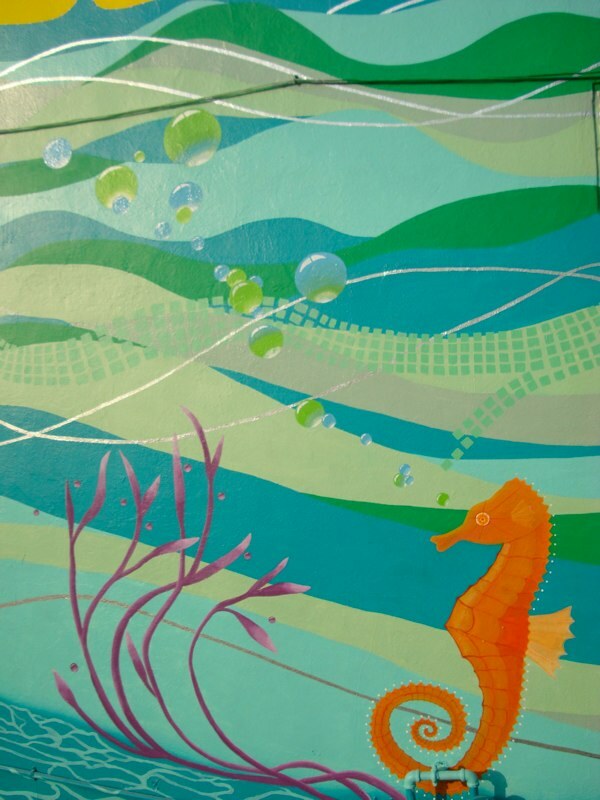 So thank you to AJ Lettengarver for his seagrass work and Michelle James for assisting her dad with the treasure chest and to both for taking time out of their summer days. 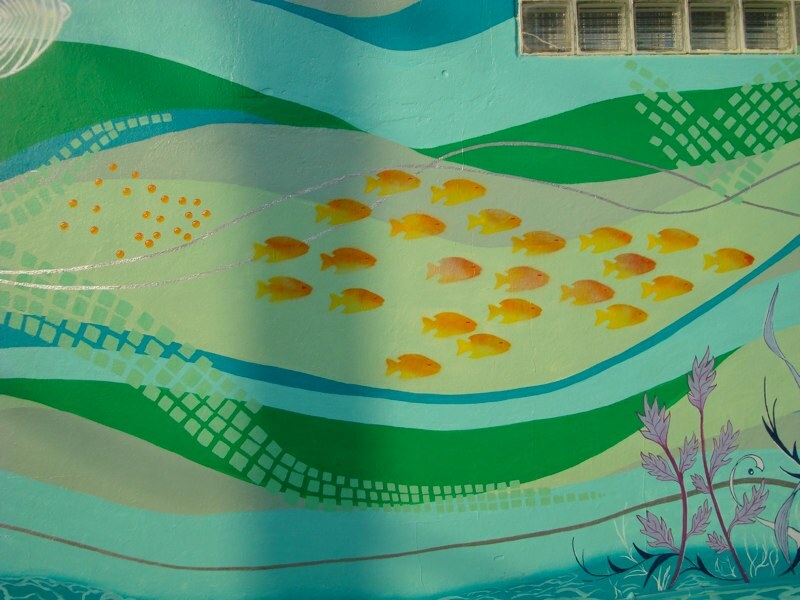 It was a great experience for the entire team of participants despite the heat and we and the entire community have yet another beautiful wall to enjoy on Bridge Road!